What can you tell us about new music coming in 2015? New music is going to be coming very, very soon. I just got out of the studio earlier this month finishing up some stuff for the record. So now we’re just waiting on some little stuff here and there, but for the most part it’s pretty well done. At this point we’re just waiting to find the right single and put a release date on it. Well we’re looking forward to hearing it. Is this a full length record on an EP? It’s gonna be a full CD. I’m really proud of everything that’ll be going on it. I wrote 80-85% of what you’ll hear, so all the songs are pretty special to me and I’m excited for everyone to hear them. Definitely. Now, on your YouTube page you have posted some original songs in the past, will this record include any of that? When I signed with BBR Music Group I was writing full time in Nashville and the funny thing was that I had a lot of songs left over from writes and stuff like that. So I started showing my producer and he was like wow. I had so many songs written that were sitting and not doing anything that he thought we could do stuff with a lot of them. Part of the issue we’re having right now is trying to pick the right songs for the record. Finding the top twelve or thirteen songs is hard because I’ve got so many stacked up. There are a couple that were posted on YouTube and a bunch that are brand new to everybody. Switching away from the studio, you’ve been on the road with Justin Moore over the past year. Are you planning on heading out on tour again this summer? I’m sure we’ll be doing some fair and festivals, so stuff like CMA Fest or Country Thunder which I’m excited about because I’ve never played shows like that. So that’ll be really fun. But besides that, we’re shooting for a lot of radio tour stuff and a lot of college bars to keep the fan base growing. But who knows, maybe Justin [Moore] will head out in the fall – I’d love to get back on the road with him. He’s become a good friend of mine over the past year or so and I think I’ve gotten in pretty tight with his whole crew and the crowd seems to like me so that’s good. Speaking of Justin, I know you guys do the song “Southern Boy” when you’re out on the road together. Is that something we’ll see on the record. Well there’s a bit of a story behind that song. Justin knew this kid, Cameron Scroggins, from Chattanooga, TN who had a terminal disease and long story short he wasn’t able to make it through. It touched Justin and his whole camp pretty deeply. So my producer, Jeremy Stover, who also works with Justin wrote this song called “Southern Boy” and he showed it to him. Of course he loved it, but he thought it was a little too close to him and he didn’t know if he could handle singing it on a nightly basis. So then I heard the song and it’s such a cool story and has such a great meaning too it. So when it was pitched to me I was just honored to be a part of it. Cameron, the kid who the song is about, was only sixteen when he passed away. The song is really about how southern people stay strong through it all and they never give up fighting. So that song is gonna be on the record and I’m very excited about that. It’s a personal song for Justin and its become personal for me. All around it’s a great song. That’s definitely something we’re looking forward to hearing. So let’s go back a few years here to the post voice, but pre-record deal time. You were playing a lot of shows down south can you take us through to how the record deal came about. Well the record deal came about from playing the shows with Justin. But rewind to the fall of 2013 when I was starting to book shows for my fall schedule. We were thinking of doing a lot of college bars, frat parties, stuff like that. At that time I was driving back and forth to Nashville so much that I was doing anything I could to put some money in my pocket. One day, I get a phone call from Jeremy Stover who tells me that Justin found my YouTube page and that he wants to talk about what my plans are for the rest of 2013. So I, of course, was like let me clear some stuff real quick because that sounds way better than anything I was about to do. Justin’s such a good guy. We hung out a couple times just to get to know each other – so he would know who he was bringing out on the road with him. So we do the tour together, and then I don’t know exactly when it was but then I started talking to the BBR Music Group. But it was a very long process trying to get everything situated contract wise. The label came about because my management team was looking for a label that I can call home. It really just made sense because both of my managers had relationships with the label through Dustin Lynch and Jason Aldean. Everybody at BBR has been super supportive – coming out to shows and being genuinely impressed and into the music. Just a bunch of great people over there, who have a passion for great music. That was one of the things that got me excited about being there – the people on staff at BBR are the best in world. The last question the we like to ask artists is if they have any advice for young people looking to make it in Nashville. I don’t know if I’ve been in Nashville long enough to really answer this one. You know what, and this is gonna sound cliche, but this really has been the most important thing about living in Nashville over the past couple of years is just doing your thing. Don’t try to impress anyone. If you’re good your talent will speak for itself, you won’t have to speak for yourself because your talent will be your own spokesperson. Also, spend your time honing your craft and always striving to become better. If you do all that it’s going to be hard to ignore you. Unless your resume includes number one singles that you wrote or recorded or you have some CMA Awards, nobody cares what that resume says. Until you get there, keep plugging away at it. Nashville is like a statue or sculpture – there’s a goal that you’re trying to get to in that artwork you just have to chip away at it for a while before you actually get there. It takes some people longer than others. I was blessed enough where I’ve only been in Nashville about a year and all this stuff is going on for me, but it doesn’t always happen that way. So to wrap it up, I would say to stick to your guns and find out who you are as an artist and own it. Well thank you so much for talking with us. We’re looking forward to hearing the record and hopefully seeing you up in the Northeast this year. Best of luck man. Jordan Rager is all over social media. You can follow him on Twitter, Instagram, like him on Facebook, check out his YouTube page, or visit his official website. For more information on how you can donate to Cameron’s Cause the charity that was created to support families facing catastrophic illnesses with their children. Visit their official website or check out their Facebook page. 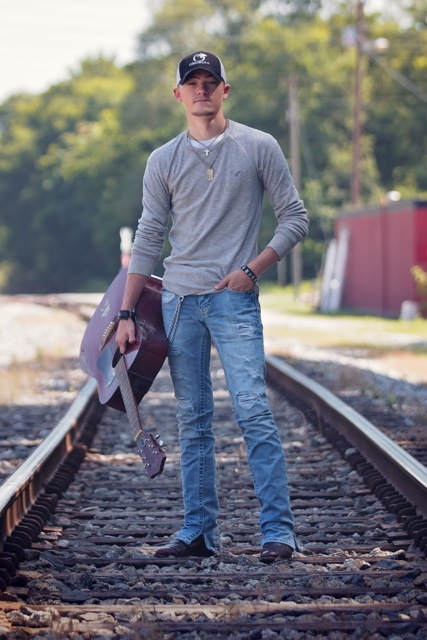 To read our past interviews with artists such as Kristain Bush, Craig Campbell, Chase Bryant, and more check our interview page here!